After hanging our lovely new Cable & Cotton lights and straightening up our studio, we thought perhaps you’d like to take a little peek inside Vivid HQ. As you can see, we like to keep things colourful, fun … and a little bit hectic! We love to collect a lot of trinkets and treats as we find them really inspiring. 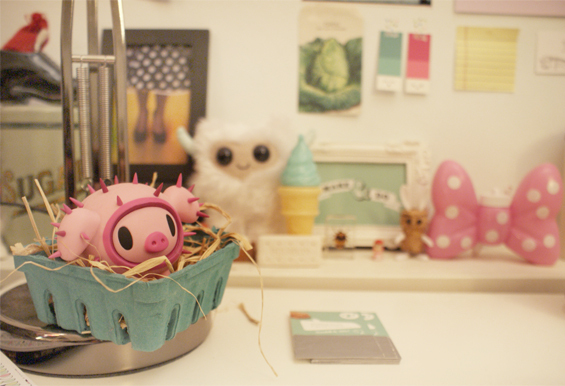 Currently on my desk is our little piglet pal from Tokidoki and my favorite little Grumble Cave Monster. Who says toys are for kids? Oh! The giant bow has bubbles in it – a must have for avoiding work in style 😀 Having a playful area is a great area to keep us motivated. Not all distractions are bad ones! I took this photo of peanuts last year when I created my silver peanut pendant with Catherine Zoraida; Peanut is a nickname (I’m only wee!) I think they look amazing all lined up. Photographing your favorite things is a great way to discover why you like them. That sounds crazy, but I swear it’s not! 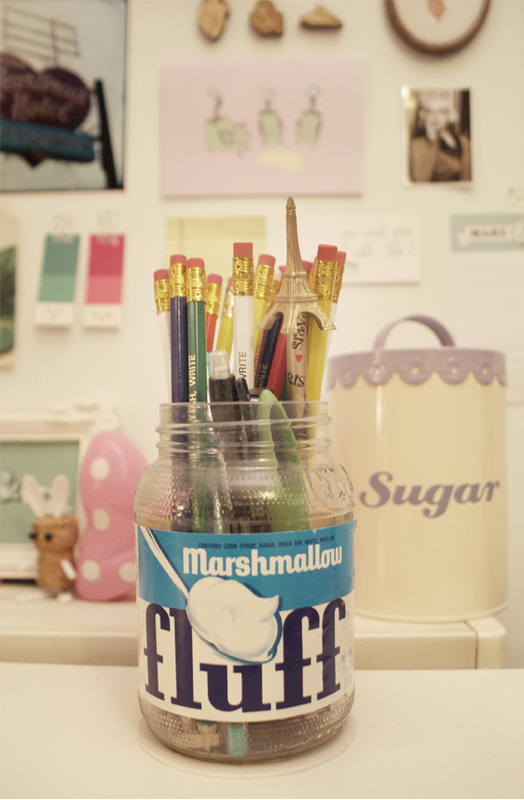 My big fluff jar full of pencils! These are two of my favorite things combined, and they work perfectly together 🙂 I have a lot of these jars in my house as we love the font and the vintage styled branding – key things to Vivid Please! You may also notice a few sugar tins round here – another weird collection of ours – this one is particularly good as it’s font is the same as our Vivid one! I love it when two things come together to make something spectacular! Of course, here in Vivid HQ we have a lot of washi tape too… and this is only a small selection which are our current faves. 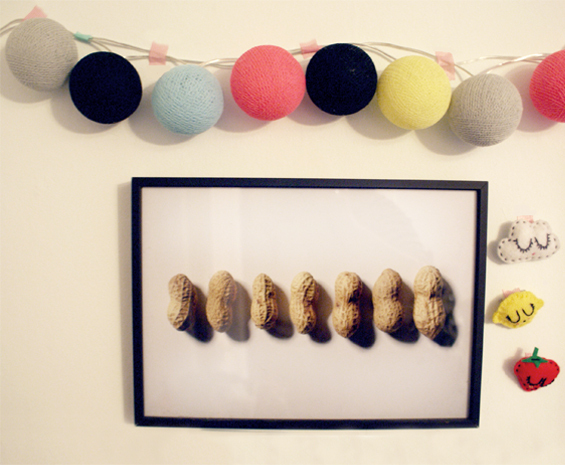 I’ve hung them up to the left of the desk with a couple of cute paper straws and bakers twine for easy access. No studio is complete without some strange invention after all! We hope you’ve enjoyed our mini studio tour and an insight into how we work… We hope it’s given you a little inspiration to take into yours too 🙂 Now, back to work! True! Never too old to love weird toys! 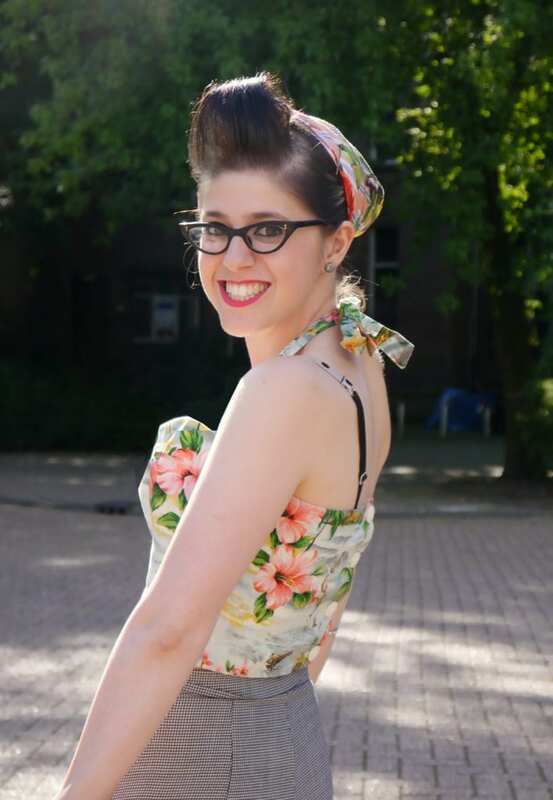 I love your blog and just thought you should know! 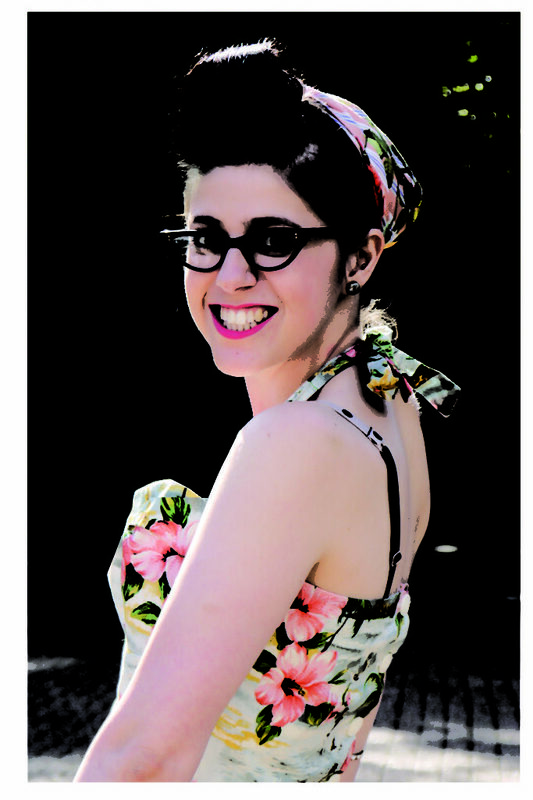 I just recently started following you and its super dooper nice to be able to read about some British crafters for a change, not that I don’t love ’em over the pond and all but its HYPER frustrating when they I find a project I am in love with but can’t make because supplies are impossible to find/mega expensive over here! Aww 😀 Thanks so much for getting in touch with such a lovely comment! I know what you mean about our American friends – they’re so far away and have so much cool stuff we just can’t get over here! We’ve been trying to work our way around certain things (like our freezer paper diy) but it can be quite the challenge :S It’s lovely to know that we have some lovely people in blighty who get us and what we’re all about! I’m delighted to hear you’re enjoying our ramblings and we hope you keep in touch 🙂 We’re always open to banter! Awesome studio! Color is always welcome, and I love the fluff jar full of pencils. I also love your washi tape invention. Awesome. Hooray! Thanks Kim 😀 I’m so pleased to hear you like it! 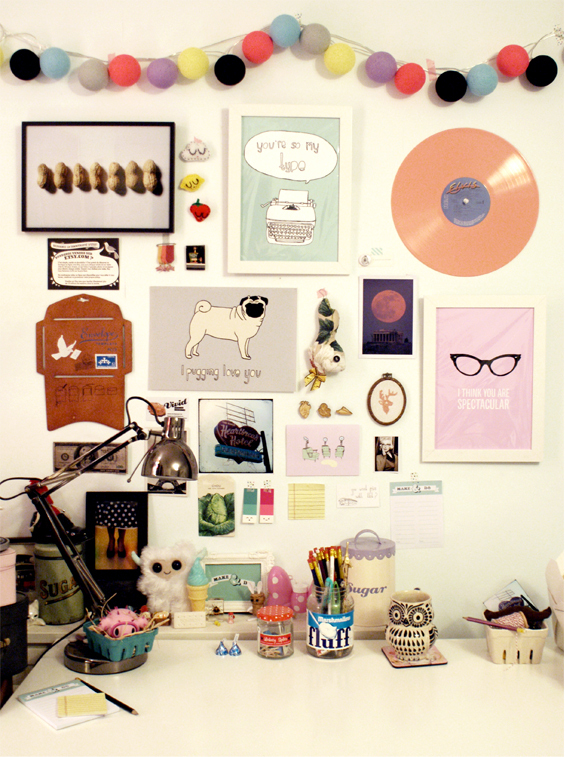 Your little studio looks gorgeous, lovelies! What a busy wall! 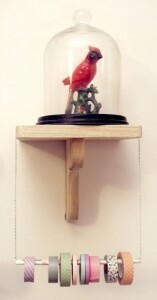 You have such lovely odd pieces – the bird in the bell jar is particularly lovely! Those lights are lush, too! My crafting space has become somewhat taken over by my boyfriend’s Alienware laptop! I have no choice but to do my work on the bed now! But that’s fine – it means the Xbox is available for movies and/or games. Bubbles are a must-have. I keep eyeing them when I’m waiting in line in the post office but I always forget and don’t much fancy leaving the line for it. Aww thanks so much Kim! We’re glad to hear that you approve 😀 The bell jar was a gift from my mum and the bird we found whilst out and about together. Funny that actually, I’ve not thought about it but it appears to be a section of my mum! Haha! I’m totally addicted to the lights, I’m glad you like the colours! We’ve been using them for our new pinto cards :B It’s funny how little things like that can give you such inspiration! Well, I think that if you’ve had to give up your working space for the laptop, the least your boyfriend can do is purchase you some inspiration bubbles 😀 You can tell him I said that haha!